How to Entertain Kids in Common Places Using Balloons? This is a quite strange game but can be organized if small-sized balloons are inflated to manage over the spoon. This game is similar to spoon race game where lemon or balls were kept over the spoon and kids were asked to run. Here in this game, kids would be given small balloons over the spoon and they need to reach the finish line with the same balloon over the spoon. Inflate balloons equal to the number of participating kids. Allow kids to participate in your race and ask them to hold the balloon between the knees. Now kids walk and reach the finish line with the balloon between the knees. The only kid who reaches faster would be declared as a winner. 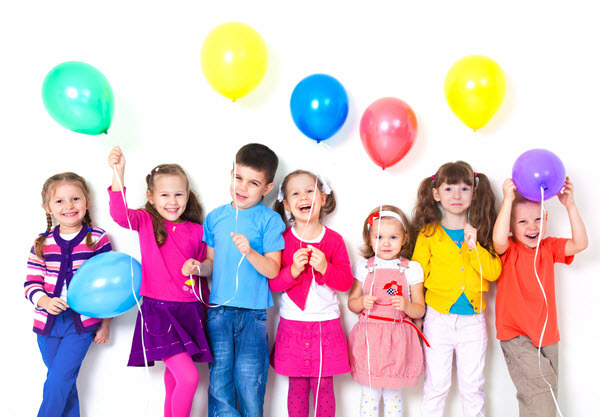 You can surprise your kids by carrying a large number of balloons to the place you are planning to visit this time. Now inflate those balloons and put some objects or eatables like toffees, chocolates, lollipops, and much more. Form groups of kids and adults and ask them to burst the balloon using a dart. The kid or the person that throws a dart and burst the balloon would get the eatables contained by the balloon. You can inflate a balloon and tie it to a thread. Now ask kids to touch the balloon when you take it higher. Kids who touch the balloon would be declared winners and likewise, you can conduct semi-finals and finals to come up with the winner of the game. This balloon game is almost similar to passing the pillow. You need to arrange an area and ask participating kids and other people to sit in a circle. Now give them a balloon and play some nice music. In the meanwhile, kids will pass the balloon to the other kid. The kid carrying balloon when the music stops would be asked to leave the game and rest would continue. Likewise, the kid or the person who is left at the end would be declared the winner of this game. Form a group of kids and give each kid a balloon with a thread. Now ask kids to run away from one another bursting balloons of their opponents. The sole aim of this game is to protect the balloon while reaching the end point. The kid who moves to the termination line carrying his or her balloon would become the winner of the game. Above are some of the amazing ways to entertain your kids while going to common places. Hopefully, you would consider these tips that use a balloon and use them while giving an ultimate time to your kids.